Download Free Macbook Pro and iPhone X Mockup. 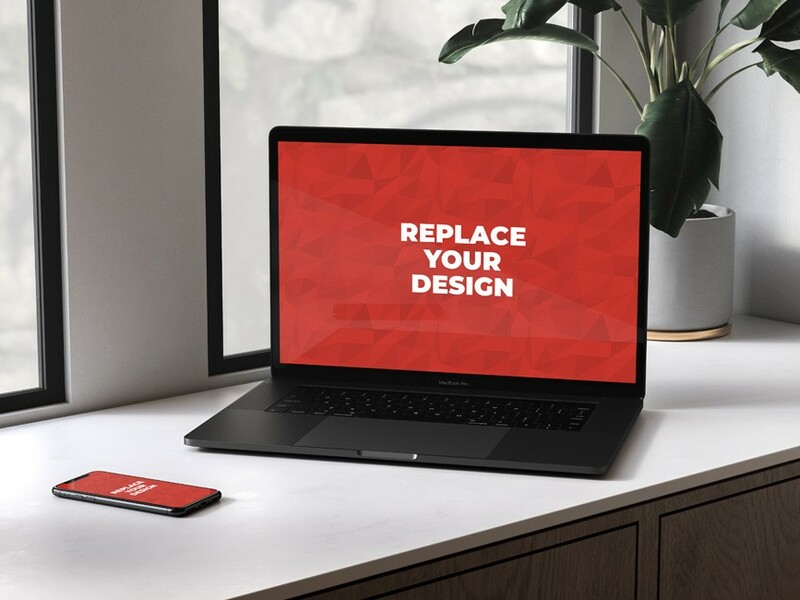 Use this Macbook Pro and iPhone X Mockup to showcase your creative website designs and wallpaper or any designs. Just drag & drop your content into the smart layer in photoshop. Nice work done by Anthony Boyd Graphics.